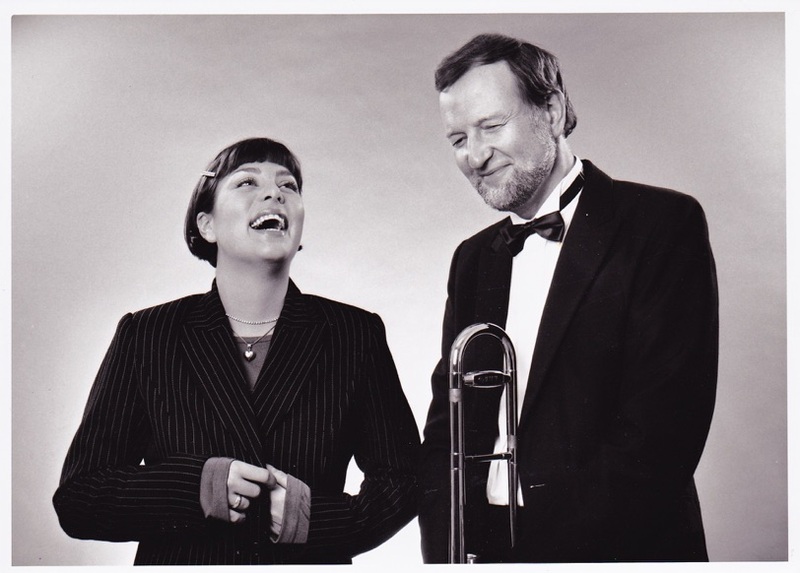 Marit Elfström and Sven Lange. The band was formed in the late 80´s. 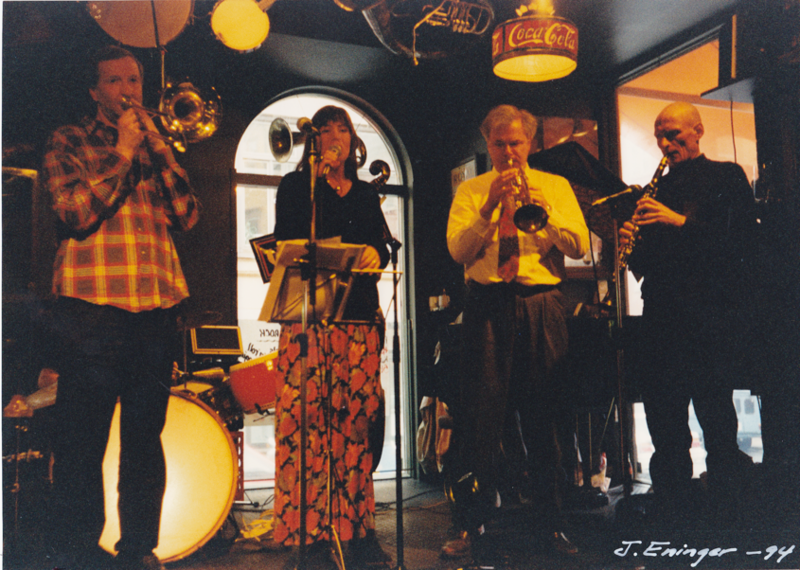 The name of the band is an homage to Edward ”Kid”Ory and his style of New Orleans Jazz. From the start, the young talented vocalist Marit Elfström became a member of the band. The leader of the band was the trombone player Sven Lange. He heard Kid Ory live as a twelve year old youngster and has continued to study the structure of Ory´s music ever since. 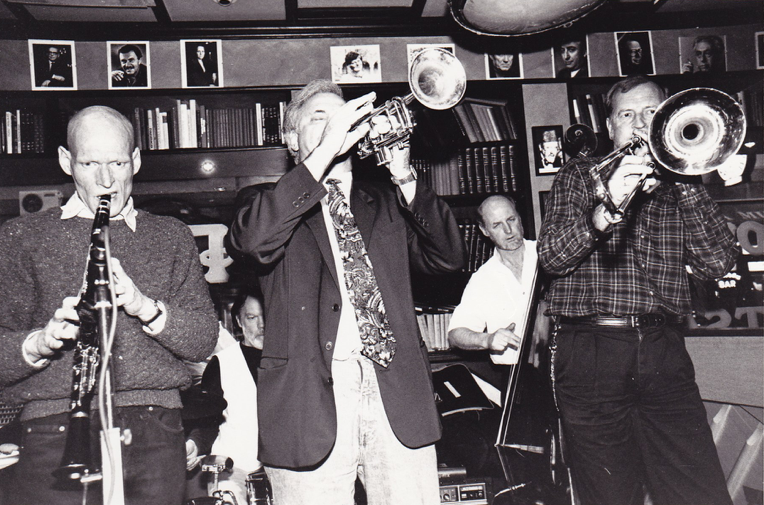 Christer Fellers, trumpet, started his career in the legendary Imperial band in the 60´s together with Orange Kellin and Lars Edegran. The clarinet player, Arne Högsander, is highly ranked among the aficionados of the genuine New Orleans style. Hans Kjaerby, piano, has been heard in Fessor´s Big City Band. He has also worked with jazz stars like Bud Freeman, Wild Bill Davison and Doc Cheatham. 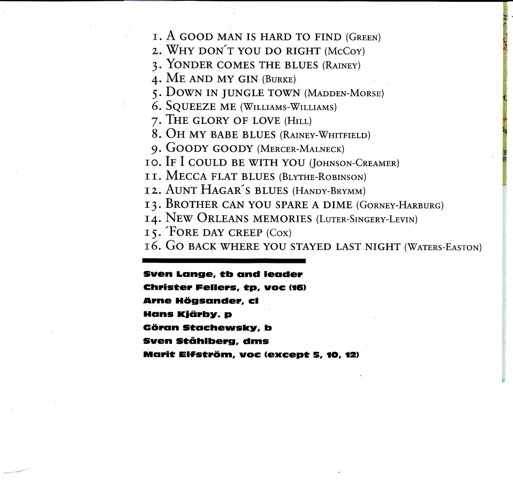 Göran Stachewsky is plying the bass in the classic New Orleans fashion and has recorded with Maxine Sullivan and Bent Persson. Sven Ståhlberg, drums, is a well-known member of the Sammy Rimington band and many New Orleans musicians. 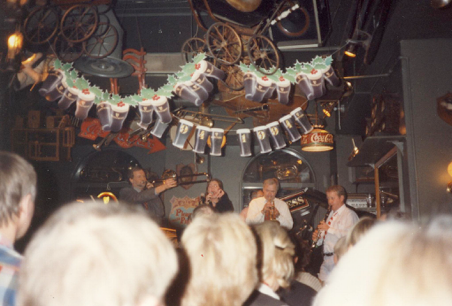 Other musicians who frequently played with the band were Claes von Segebaden g, Anders Alm cl and Olle Brostedt b.
Sven Lange, Marit Elfström, Christer Fellers and Arne Högsander. 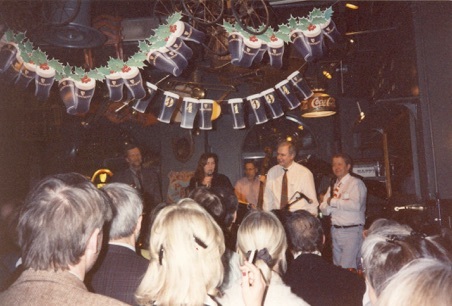 Arne Högsander, Per Oldaeus, Christer Fellers, Otto Sörman and Sven Lange. 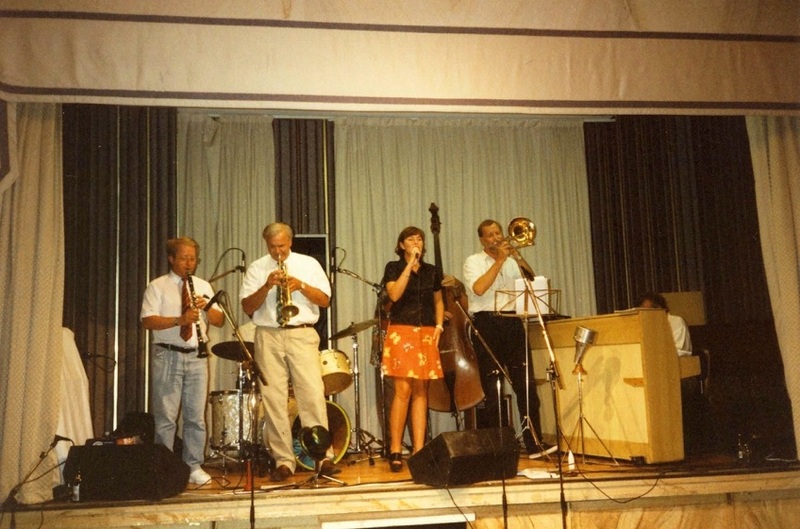 Sven Lange´s New Orleans Kids at the Göteborg Jazzfestival 1995. Sven Lange´s New Orleans Kids på Stampen.